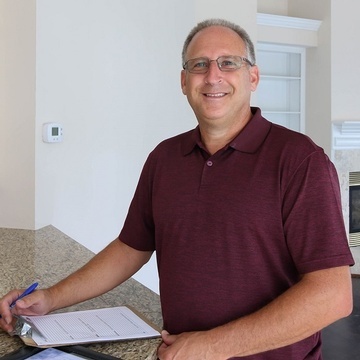 Northcoast Property Inspections, LLC is North Florida's premiere home inspection service where owner/licensed home inspector Dan Cavanaugh prides his company on a customer-centric approach and quality inspections for homeowners. As a licensed and fully insured home inspector in Jacksonville, FL, Dan Cavanaugh has the opportunity to inspect homes for prospective new homeowners as they prepare to make the largest financial purchase they may likely ever make. As a result, I do not take that responsibility lightly, and I want to ensure they have a full understanding of a home's condition prior to moving forward with the sale. Best of all, I get to meet wonderful people. In the years of my experience, I have learned that putting my customers first is ultimately what leads to happy homeowners. Thanks for considering Northcoast Property Inspections for your next home inspection. I look forward to earning your satisfaction. Consult licensed home inspectors at Northcoast Property Inspections, LLC for your next home inspection across Atlantic Beach, Neptune Beach, Jacksonville Beach, Ponte Vedra, Ponte Vedra Beach, Jacksonville, Arlington, Orange Park, Fleming Island, Middleburg, Nocatee, St. Johns, St. Augustine, Julington Creek, Mandarin, Southside, Riverside, Ortega Park, San Marco, Palm Valley, Mayport, Duval County, Clay County and St. Johns County.